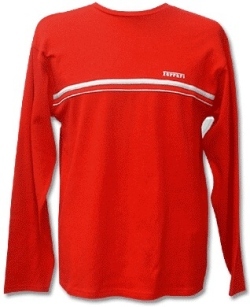 Ferrari Long Sleeve Chest Stripe Top, Red. A stylish and subtle 100% cotton long-sleeve, round neck top. With two white ribbon stripes across the chest and 'Ferrari' embroidered left chest.